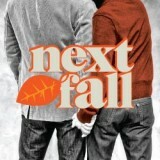 Ben Brantley (New York Times) called Next Fall an “artful, thoughtful and very moving story.” Luke believes in God. Adam believes in everything else. It’s an examination of faith, commitment and unconditional love – with sharp humor and unflinching honesty. Not a typical love story, this timely and compelling new American play forces us all to examine what it means to “believe” and what it might cost us if we don’t. “It contains the kind of quips that prompt not one but two waves of laughter. This is rare.” (David Finkle, Huffington Post). 2010 Tony Award© nominee. Appropriate for ages 16+. Produced with special arrangement with Dramatists Play Service, INC.